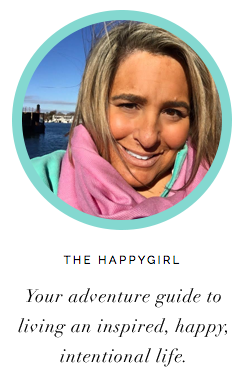 the happygirl: insights: what's worth getting arrested for? insights: what's worth getting arrested for? It started out innocently enough with a ride on a beautiful day but ended with fisticuffs, run over feet and the police. Warning: This is going to be hard to read but be brave. Yesterday was a rare spectacular, hot (80’s), sunny day here in Seattle. I threw the top down and spent the afternoon running errands--bank, post office, Lowe’s, Wal-Mart, Top Foods. All went well until Lowe’s. 1:35pm. 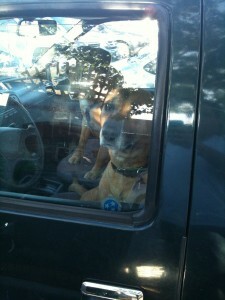 I parked the car and watched a guy leaving his truck with his Rottweiler inside. The passenger window was left open 2 inches. It was blazing hot in the parking lot and I am ashamed to say that I saw the guy walk away leaving his dog in the hot car and I did nothing. I regret that. My next stop was Wal-Mart in Lynnwood. I love driving top down (since you can so rarely do it here in Seattle due to the rain) but my head was so hot from the sun and heat that I closed the top. As I turned off the air conditioning, powered down my car and turned off the GPS I thought “Good God, it is HOT in this car.” I looked up and in the next aisle I saw a dog frantically pacing in the backseat of a grey Mitsubishi Lancer. I got out of the car and walked over to the Mitsubishi to see the dog. He was a boxer/pitbull and he had pools of drool dripping from his jaws as he paced and clawed at the doors. There was a woman in a white car parked on the driver’s side of the Mitsubishi. She was in tears on the phone. I mouthed to her “Are you calling the police?” She nodded yes. I ran into Wal-Mart and asked for the manager. He immediately did the following announcement “Would the owner of a grey Mitsubishi Lancer please return to your car. Your dog is suffering. A car can reach 130 degrees in the hot sun.” He repeated this announcement twice. I ran over to McDonald’s and got a cup of ice water, running back to the car with it. She responded “NO!! I AM GETTING OUT OF HERE.” She started to back out but there were three cars behind her. I stepped back as she grazed the toes of my sneakers with her tires. There was such confusion that I didn’t know if the cars were intentionally blocking her from leaving or they were just coming or leaving parking spaces. It's as if she didn't see the cars. She tore out of the parking space with several pedestrians jumping out of her way. We watched her leave. As we stood in the parking lot after the driver took off, we wondered what fresh hell that dog would endure when it got home. There was nothing more to do. I walked back into Walmart. People were congregating, waiting to hear what happened. “Did the police get him?” they asked. “She should be jailed for that! Have her dog taken away. Poor dog,” they said. Yes, poor dog. I stood shaking in Wal-Mart, thinking all I really wanted to do was buy cleaning supplies but I couldn’t do it. L. called to ask where I was and I told him what happened. I went back to the car and tried to sit there for a minute but it was too hot. Within two minutes I had a headache. I can’t imagine what that dog had gone through, what the Lowe’s dog had gone through. I called the sheriff's office. I wanted to know what happened after the calls. I spoke with the sheriff who responded to the scene. He said unfortunately because she had left the scene, there was nothing that could be done because no one was around, no owner, no dog, no witnesses. Because they didn’t see it happen, they couldn’t arrest her. I asked him if I would have been arrested if I had broken a window to rescue the dog. His official statement was “You should wait for the police to arrive to rescue the animal.” You can be arrested for vandalism. The officers can’t just do nothing if someone damages another person's property. HOWEVER, the officer said if someone were to break a window to rescue a child or animal in danger, he would recommend to the prosecutor that the person not be arrested or charged with a crime. It is, however, up to the prosector. Nothing will happen to this woman. Because the dog owner left and there were no witnesses outside when they arrived there was no report to be made. I drove to my next stop in the coolness of my air conditioned car and it hit me. I did the dog no favors by having the owner paged inside Wal-Mart. If the police had arrived before the owner, they could have arrested her for animal cruelty and taken custody of the dog. Instead, this woman pays no penalty for her cruel behavior and right now that dog is probably sitting in a hot car again. These are the dogs from the Top Foods parking lot. I originally took a photo of the Walmart dog but it was so awful that I deleted it last night. It's something that no one should have to see. " Lest you think I am a militant “Do not leave your dog in the car EVER” kind of person, I am not. I am just a girl who feels awful when I am standing on hot pavement in the sun and I see a dog clawing at the doors and closed windows of a broiling hot tomb. This morning I made some more phone calls. I wanted to see if the policies were the same in different areas. I called the Seattle and Boston Police Departments to get their advice. (As an aside, I got a funny reaction from the Boston detective when I asked whether someone could be arrested for either breaking a car window to save a dog or if you are the dog owner who left a dog in a hot car. “Where did this incident happen?” I told him Washington. “Why are you calling me? I’m in Boston. I’m here. You're there? Right?” I sensed his exasperation and explained that I was writing an article. His response: “Who the hell leaves a dog in the car, hunh? Tell me that.” I wish I could, officer. Both the Seattle and Boston police departments do not recommend breaking the windows of a car to rescue an animal. You CAN get arrested for this. However, if you feel there is imminent fatal danger to a child or an animal and you can prove this (with a witness) then you should do what you feel is compassionate. You may, however, run the risk of a violent altercation with the owner, like the woman at Walmart who refused to give her dog water and plowed through the crowd of cars and people as she tore out of the parking lot. I asked the officers if you can detain someone until the police arrive. You can, but you run the risk of danger to yourself or to the dog, as well as the person then accusing YOU of kidnapping for detaining them. I also spoke with the Massachusetts SPCA this morning and they said in cases like this they will send out a letter to the owner, followed by a call and either people are mortified “Oh my God, I didn’t realize and I will NEVER do it again” or they get angry “It’s my dog. Stay the hell out of my business.” They follow up with the latter. -Wait for the police, even if the owner arrives and drives off, you can give a statement to the police which will enable them to follow up possibly along with their local SPCA. And yes, if I were to do it over, I would have busted the window yesterday to get that dog out. We all just stood there watching this dog's life ebb before our eyes. It haunts me. Sometimes doing the right thing is worth getting arrested for.